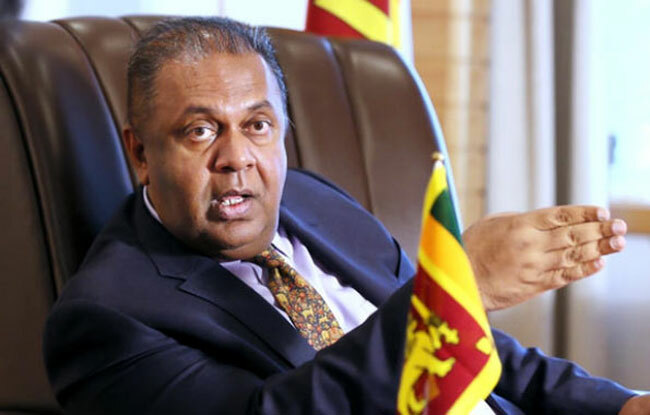 In response to the Letter of Opposition Leader Mahinda Rajapaksa to the President on the resolution set to be passed at the United Nations Human Rights Council (UNHRC) session, Minister Mangala Samaraweera issued a press release stating that his letter is packed with misinformation. The Minister says that Rajapaksa has forgotten that he is no longer the President or the Prime Minister of the country. Stating that there is no resolution ‘against’ Sri Lanka, Samaraweera says that the Opposition Leader, in his letter, has repeated old false allegations and assertions about the Office on Missing Persons. In the press release of the Finance Minister, it assures that the government will continue to defend Sri Lanka’s sovereignty by reaffirming the commitments to seek durable reconciliation and promote and protect human rights. Stating that Mahinda Rajapaksa has no authority to give instructions to an official delegation representing Sri Lanka overseas, Samaraweera requests Rajapaksa to stop attempting to ‘deny to a legally established government, the democratic authority it is endowed with’.